Above is my collection of books by the author Lisa Genova, as you can see, the first two books are one cover design and the lower two a different cover variety. 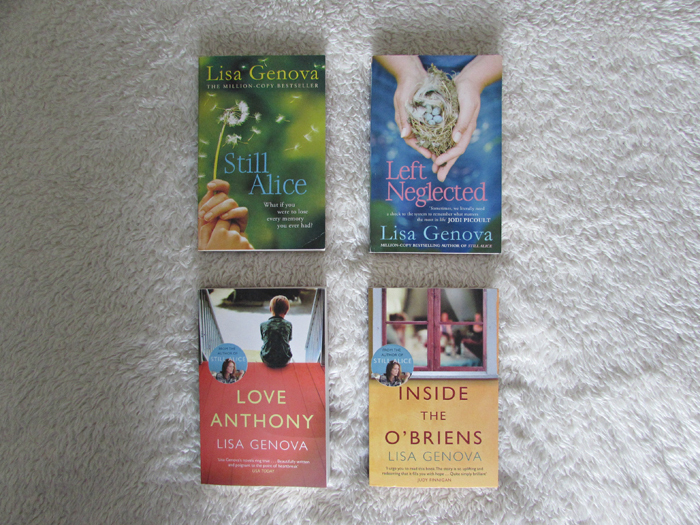 It was actually only recently that I completed my Lisa Genova collection up to date, and it was upon receiving the last book in the collection that I got to thinking about the difference in covers, and how overtime I have changed as a book reader and collector. Once upon a time I would have HAD to replace two of these covers so that they would all match - it would have bothered me to the extent that I would have paid extra money in order to replace books I already owned so that the collection matched... To me now that seems absurd, but a year or so ago, it made perfect sense. Don't get me wrong, I'm all for matching covers - had I purchased all the books in the one go, I assure you they would definitely all be the same cover design, but I don't NEED them to be matching anymore... Unless it's a series, of course. I never thought about those that collected books and the difficult decision you would have. I don't mind different covers for stand alone's but I really don't like when they do it in a series. The Amanda Stevens Graveyard series is a great example, the first 3 are gorgeous Gothic looks. The last 2-3 are nice but nothing like the original. I took a look at the series you referenced and I totally see what you mean - I don't like when they switch series artwork up like that either! Also, I've seen quite a few book covers for Still Alice too. BTW I have never seen that version of Still Alice cover, that must have 3-4 covers I believe. I have both kinds in my collection. I have some series that are all the same and I have a lot that are varied, like my Ann Patchett and Madeleine L'Engle books. Some are hardcover and some are paperback; I'm just trying to collect all of their books in whichever versions I find. I only need my covers to match if they are a series. I can't stand when they don't match unless the books were released many, many years apart. If it's not a series, it doesn't bother me all that much. Not enough to buy another copy of the book, unless I was getting it super cheap. That totally makes sense - I'm glad I'm not wasting money like that anymore! This is maybe slightly different, but one of my favorite authors, Emily Giffin, had a definite signature style for her covers for her first few books - the same cute font, written small, with just a tiny image related to the book. Her last couple books have deviated from that - the size of the title has gotten a lot bigger and the font has changed dramatically. I'm not sure if I like it! But - it's Emily Giffin, so I will buy anything she writes. Haha, I had to chuckle at your last sentence! The not matching cover thing never really bothered me as much as other readers, other than to grumble a bit if I liked the first design better and wondering why the publisher messed with a good thing -- if it ain't broke, don't fix it, right? It's never bothered me to have mixed hardcover and paperbacks for a series either which I know bugs some people. 'If it ain't broke, don't fix it' - I'm with you on that! The hardcover and paperback thing used to bother me, as well as the matching covers, but I have overcome that also. I think the older I get I realise those kind of things really don't matter. Ah, I don't think that's silly at all, and illustrations definitely add to a reading experience - whether young or old! I know a lot of people mix reading audio and print books of the same title, but I just don't think I could do that. In fact I'm terrible with even listening to audios at the moment. 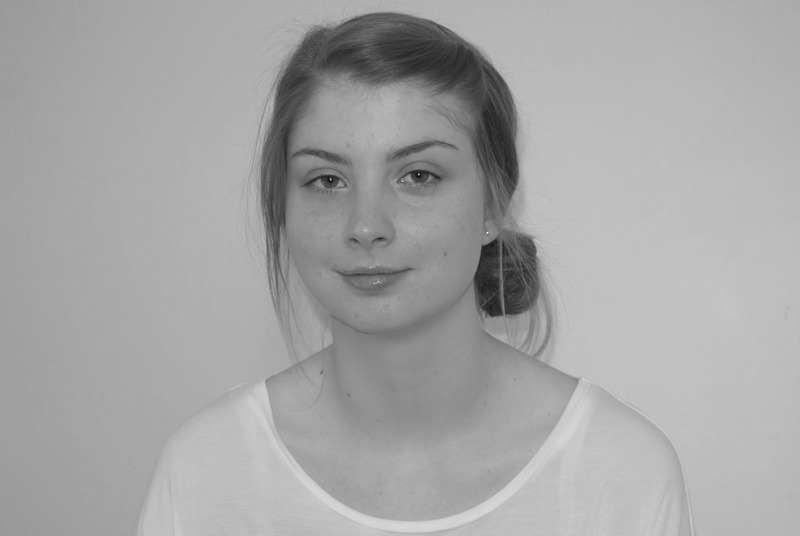 I hope that method helps you to read more classics in the future, like you hope!